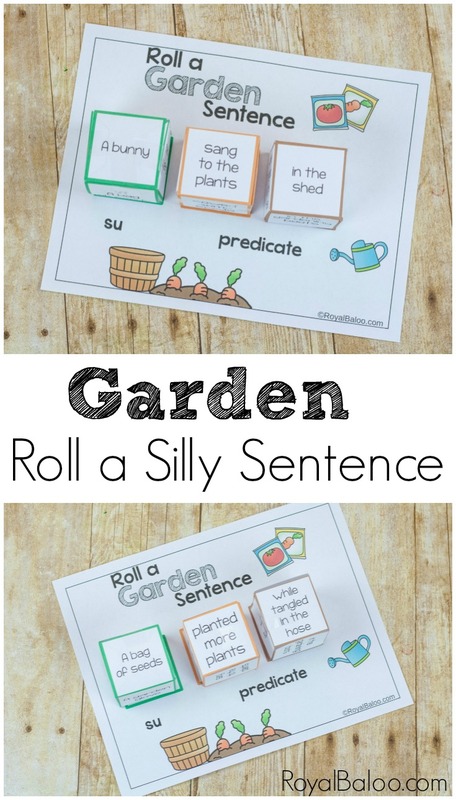 Roll a silly garden sentence and work on reading and writing skills. It’s more fun to laugh while learning and these silly sentences will get them laughing.We are still going strong with gardening “week”. I’ve been trying to plan the garden (with assistance) so I hope we can go get materials for our garden soon! I feel like I might actually be able to grow a vegetable this year. In the meantime, we are trying to delve into the topic of gardening. Garden math, garden writing, garden games. We even have a few garden crafts planned so our new garden will look fantastic too. Cassie and I have been working on a full week of garden posts! I just had to throw in a Roll a Garden Sentence. 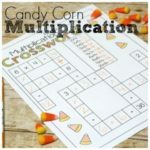 My kids love this activity and it can really be hilarious. So I had to go ahead and make, you know? To see everything else or just get a recap, join the newsletter. It’s free and I sent out awesome stuff most weeks. Putting these dice together is a pain (just being honest) but it really doesn’t take that much time. Just cut out the pieces on the thick lines, fold on the thin lines. Once you’ve got all the folding one, start taping it together. It’s much easier to fold first and tape second. I would not recommend laminating these. The folding because more difficult. However cardstock with hot glue works really well. If you’re wanting to keep them for more than a day or use them with more than a few kids, I suggest the cardstock and hot glue. We typically just use plain old office paper and tape. But we also don’t use them over and over and over again. Once it’s all folded, it’s time to play! 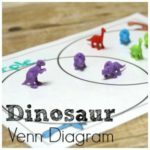 Just roll the dice, match to the correct color on the chart, and read your sentence. For writing practice, write your sentences down! You could even have the kids illustrate them. Some of the sillier sentences would be great as illustrations. My kids favorites are when inanimate objects perform in some way. So a bag of seeds doing anything is hilarious.